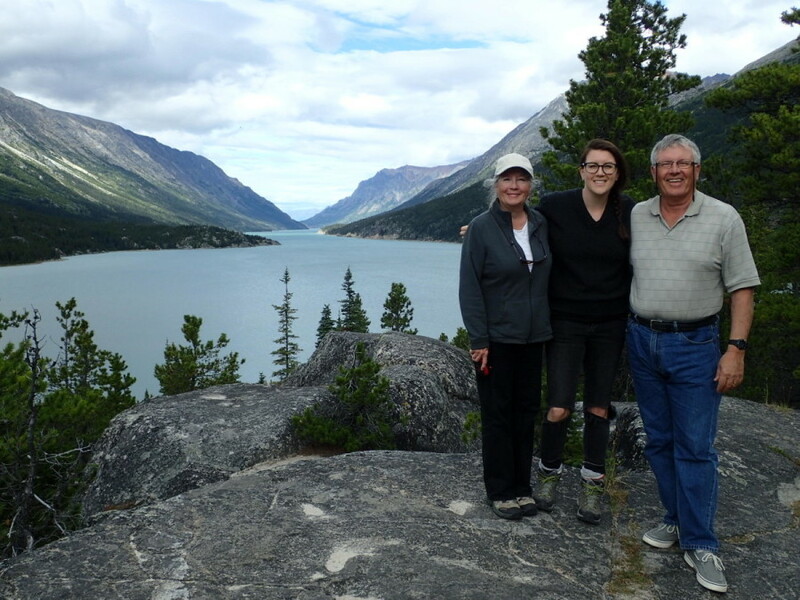 The final two legs of our Alaska trip took us in different directions: south to Tracy Arm on His Idea – so we could share that memorable experience with our daughter Vanessa, who joined us for a week – and north via ferry to Skagway. 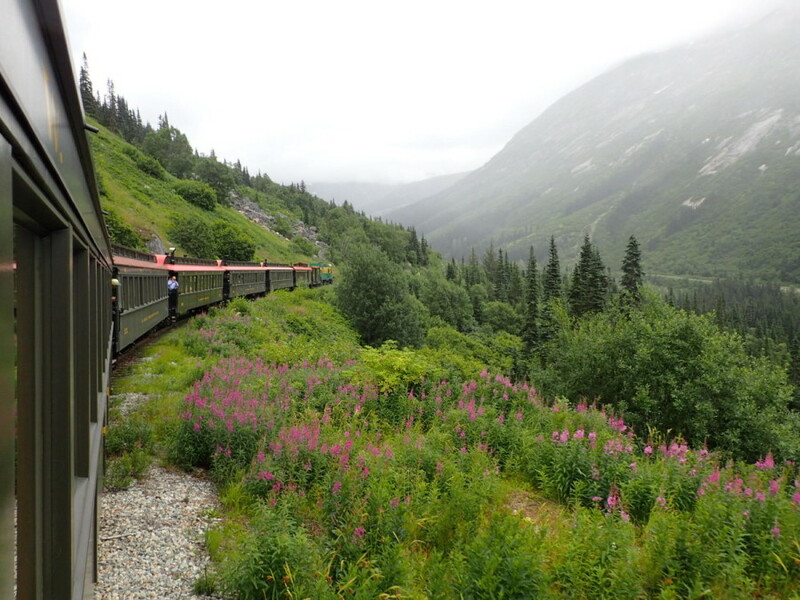 The second leg gave us a chance to see the Lynn Canal, plus the opportunity to take the White Pass and Yukon Railroad along the path of the Klondike goldrush. 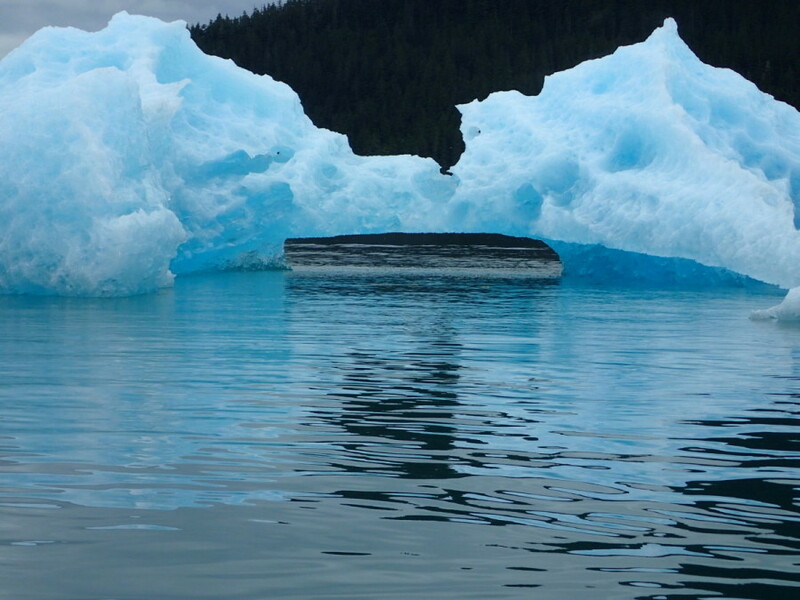 Although it was the second time for us, Tracy Arm did not disappoint, with even bigger icebergs and clearer waters that allowed us to get closer to the face of the North Arm Glacier (perhaps our growing familiarity with these waters had increased our confidence…..or made us more foolish). 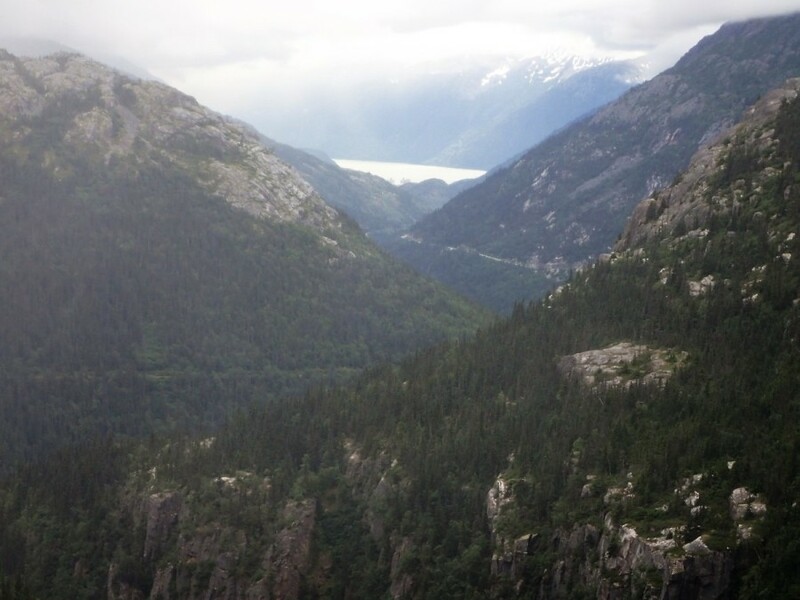 The excursion to Skagway and beyond was a nice change. 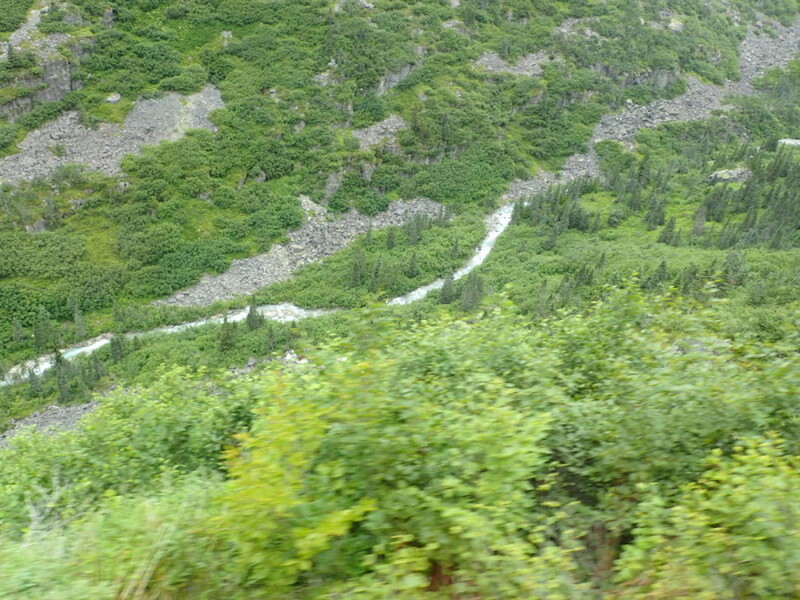 Someone else was doing the driving, we had a chance to regain our ‘land legs’, and interesting history that shaped both Alaska and the Yukon was on full display. 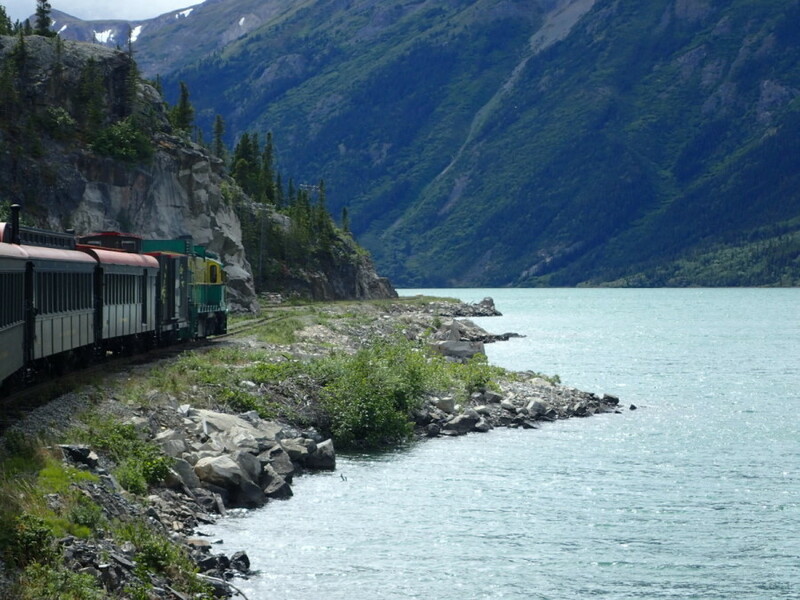 If you plan on visiting this part of Alaska, taking a trip on the ‘narrow gauge’ WP&YR is highly recommended. The inland Alaska and Yukon scenery also made a major impression, so much so that we’ve been inspired to return on a road trip one day. 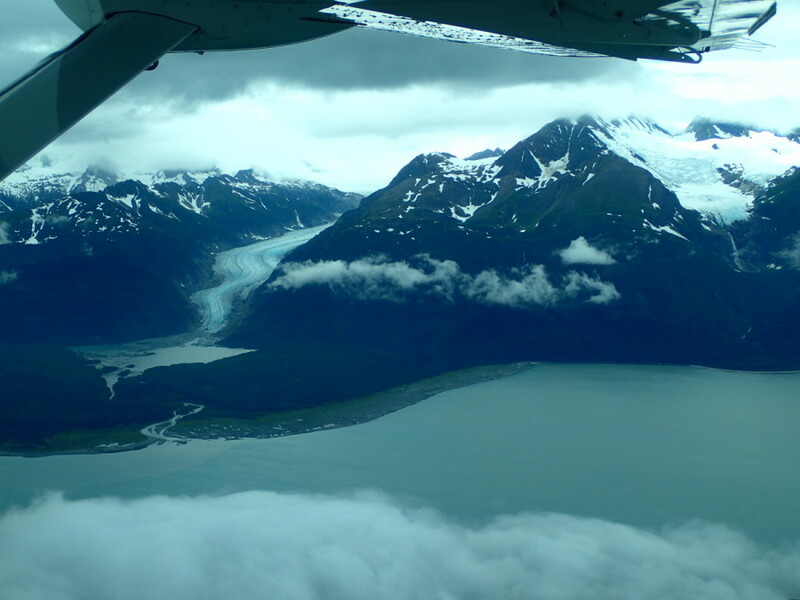 After an unexpected overnight delay in Skagway – our small plane, a Cessna Caravan, was grounded due to poor visibility along the Lynn Canal – we bid farewell to Vanessa on July 27th. It was time to start the journey home, with a deadline to be back in Vancouver by no later than mid-August. 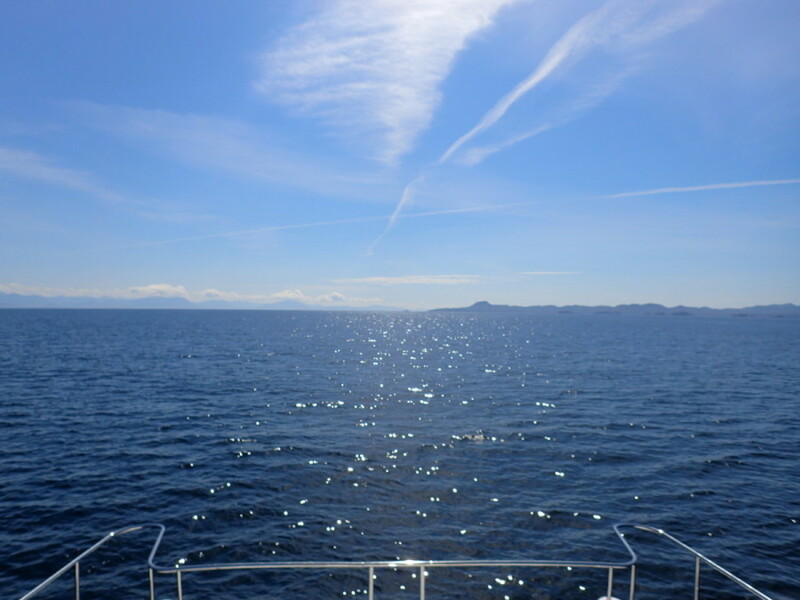 Fortunately the sea conditions continued to be favourable. 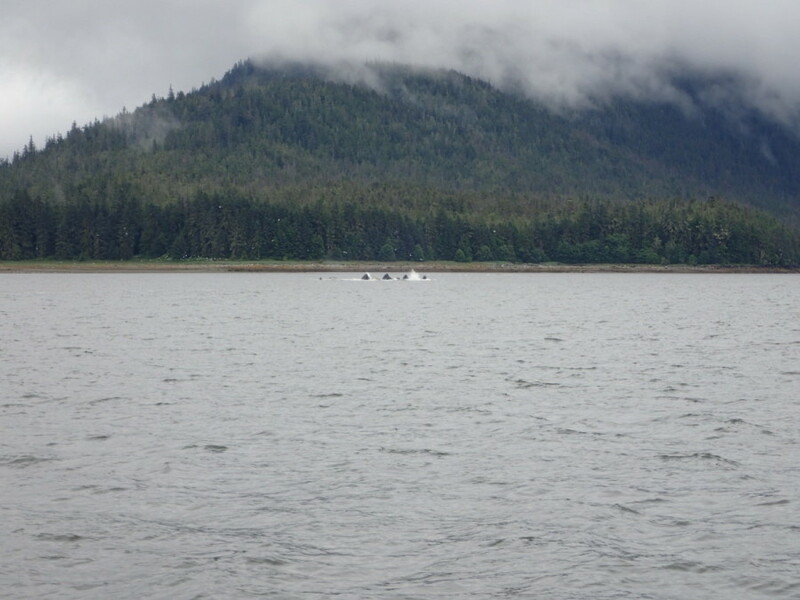 Although very windy weather in the straits north of Ketchikan caused a further days’ delay, and foggy conditions with visibility less than a quarter mile slowed us down a few times, the rest of the trip was generally calm all the way back to Vancouver. With respect to navigating in foggy conditions, this trip necessitated greater use of our radar and VIS (ship identification) systems than ever before. Although dense fog is still somewhat unsettling, this experience has served to boost our capabilities and confidence with these technologies, which is a good thing. 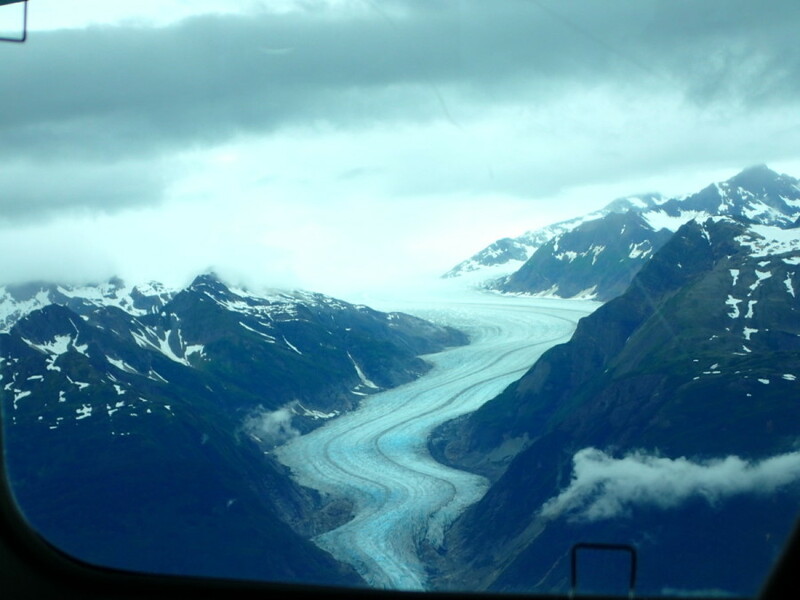 Our trip to Alaska was interesting, enjoyable, and at times exciting. It turned out to be cooler and damper than expected, however the seas were more friendly, a very fair trade in any seafarer’s book. 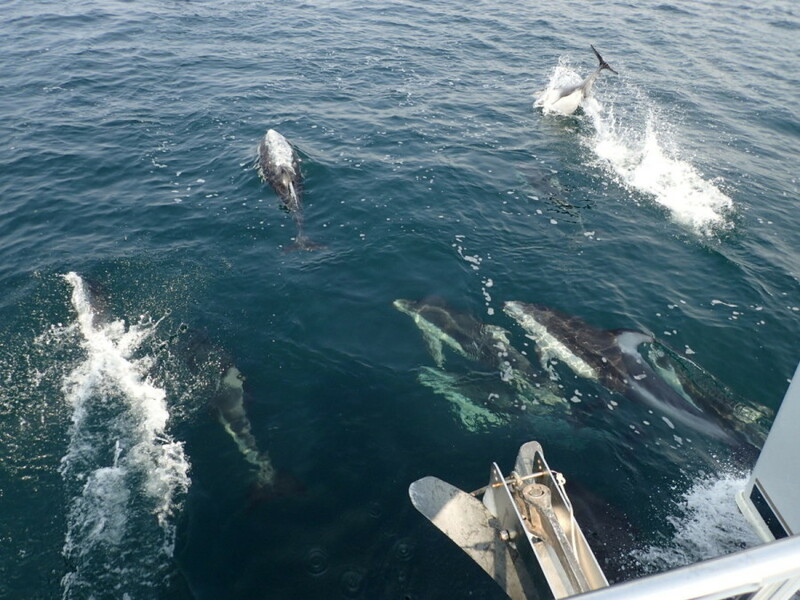 It exceeded our expectations, and will remain a highlight of our cruising adventures. 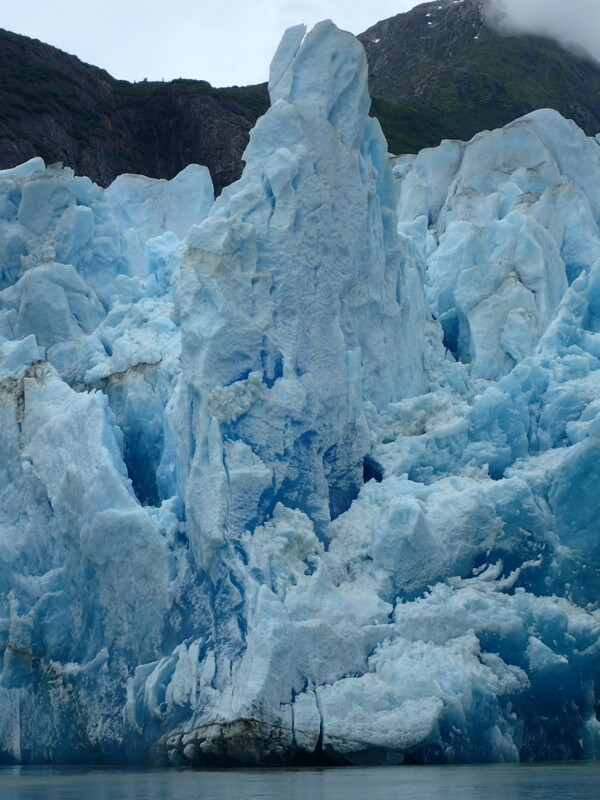 Although we probably won’t cruise as far north as Alaska again – it’s a long way – we’ll likely return to explore the mid-coast again, where we barely scratched the surface of all there is to see there. We hope you enjoyed our pictures and commentary. Thanks for joining us. 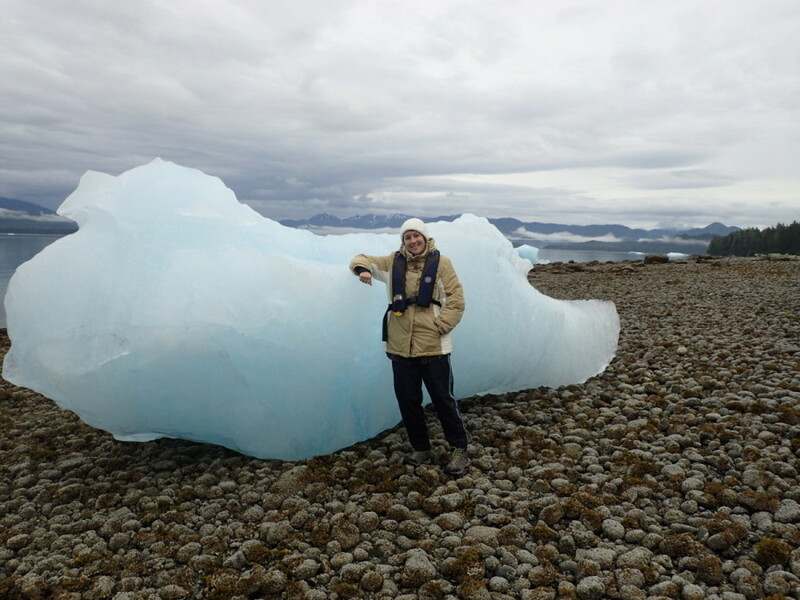 When revisiting Tracy Arm with Vanessa, we found the icebergs were bigger than ever…..
…..including the ones that found their way ashore. 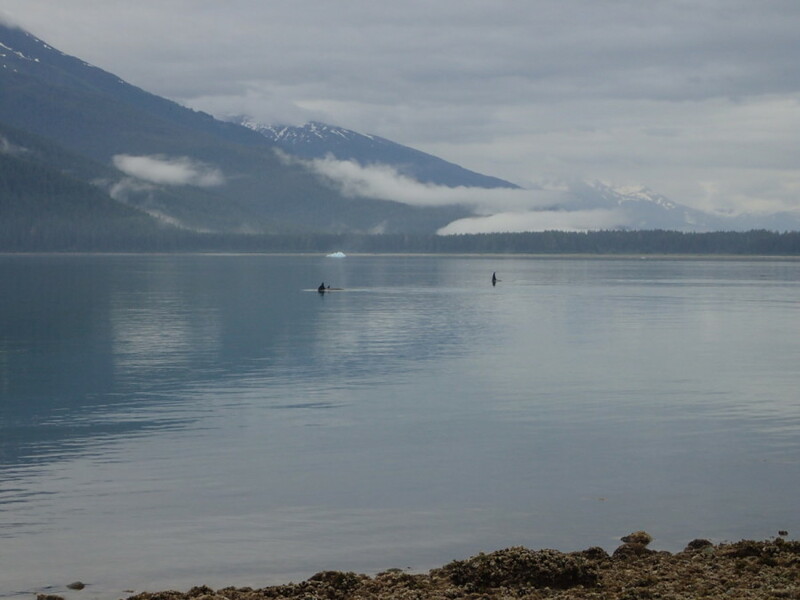 Our first encounter with Orcas, passing by the mouth of Tracy Arm Cove. 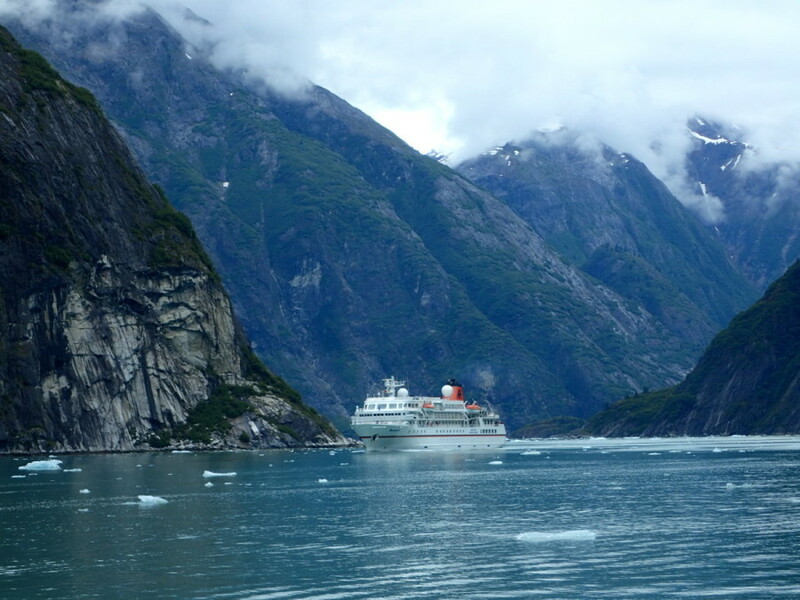 Hapag Lloyd’s MS Bremen, a small cruise ship capable of managing the tight turns of Tracy Arm. The towering face of the North Arm Glacier. 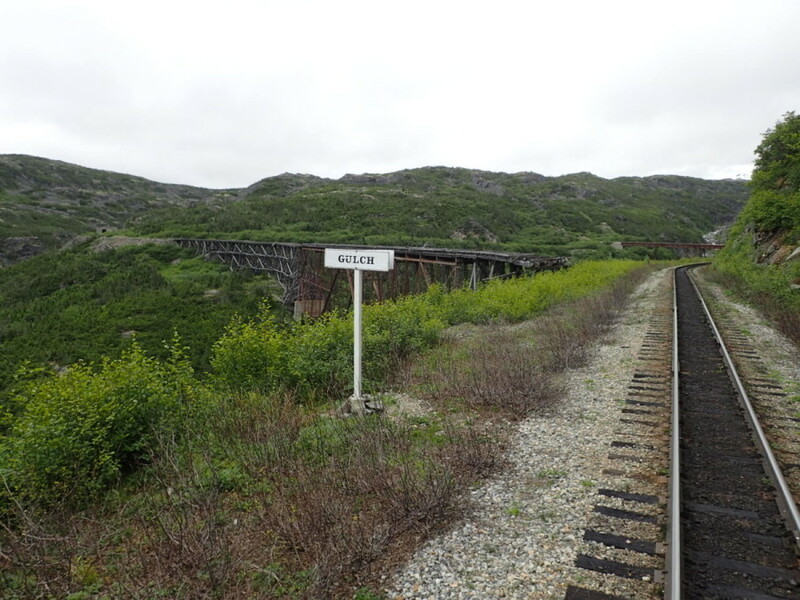 Route of the White Pass and Yukon Railroad; a major feat of 19th century engineering, the entire 110 miles from Skagway, Alaska to Whitehorse, Yukon, was completed in 2 years (1898 – 1900). 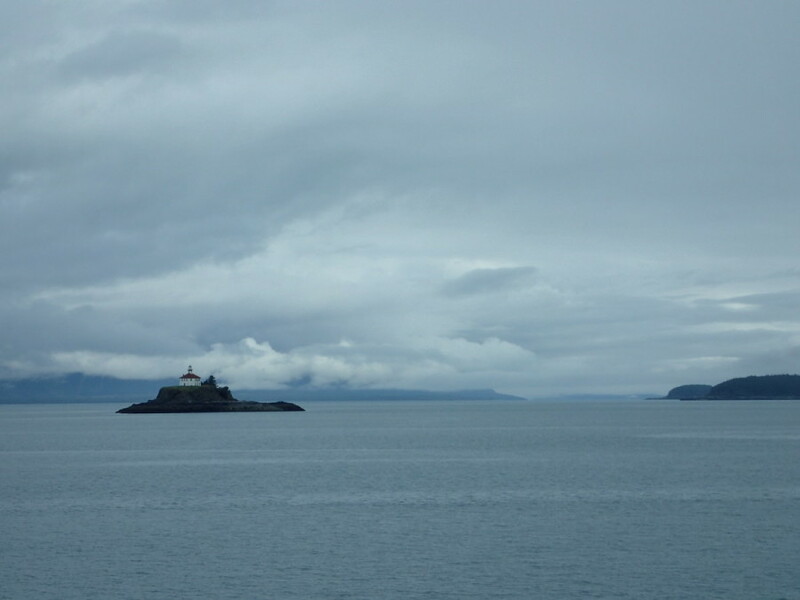 A view of Eldred Rock Lighthouse as we head north to Skagway aboard the MV LeConte; often windy and rough, 90 mile long Lynn Canal was mostly calm for us. 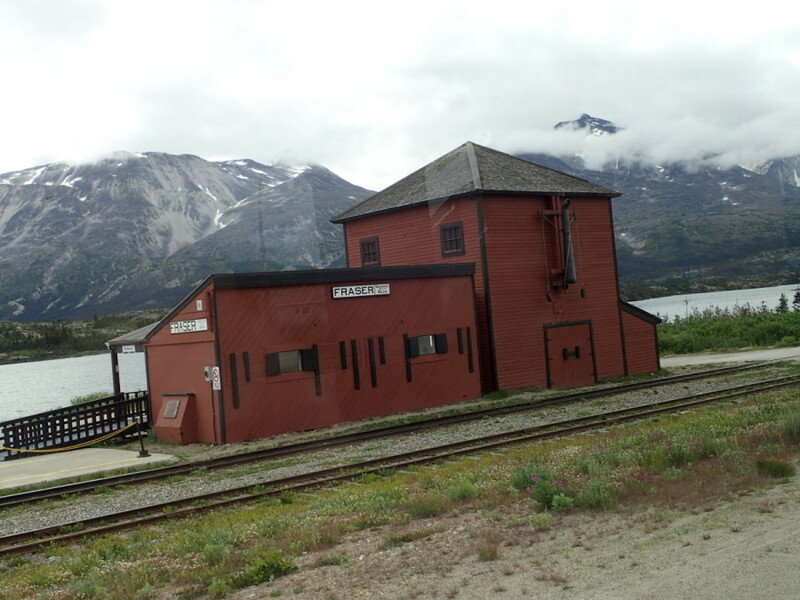 Walking from the harbour into the town of Skagway, one quickly notices the large number of well preserved wooden buldings and the prominent location of the White Pass & Yukon Railroad’s terminal. 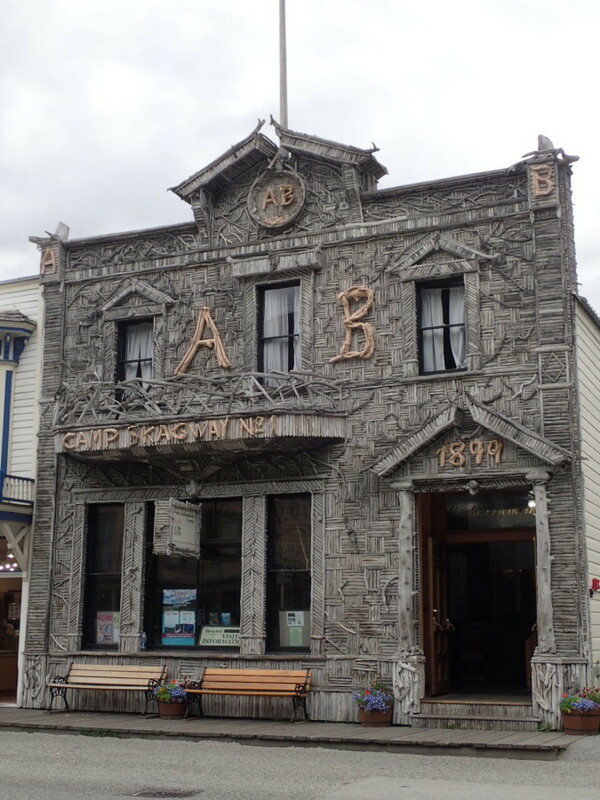 Skagway’s most famous building is the two-story Arctic Brotherhood Hall; this driftwood-decorated frame building, erected in 1899 and featuring a facade of over 9000 pieces of driftwood, was the home of a fraternal group founded by gold seekers on their way to the Klondike. Lonely Fraser, B.C., sight of the Canada Customs outpost near the Canadian/U.S. border. 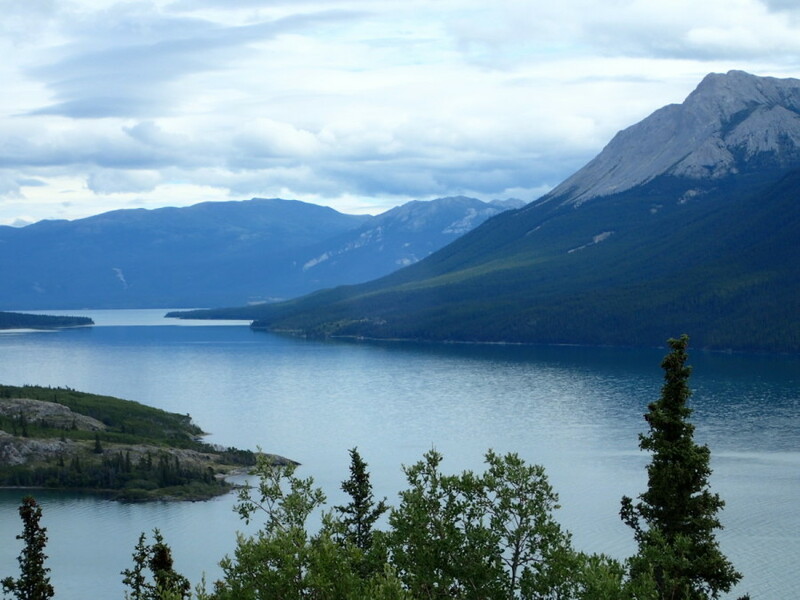 Some of the magnificent ‘big sky’ scenery we saw on our way to Carcross to catch the train. 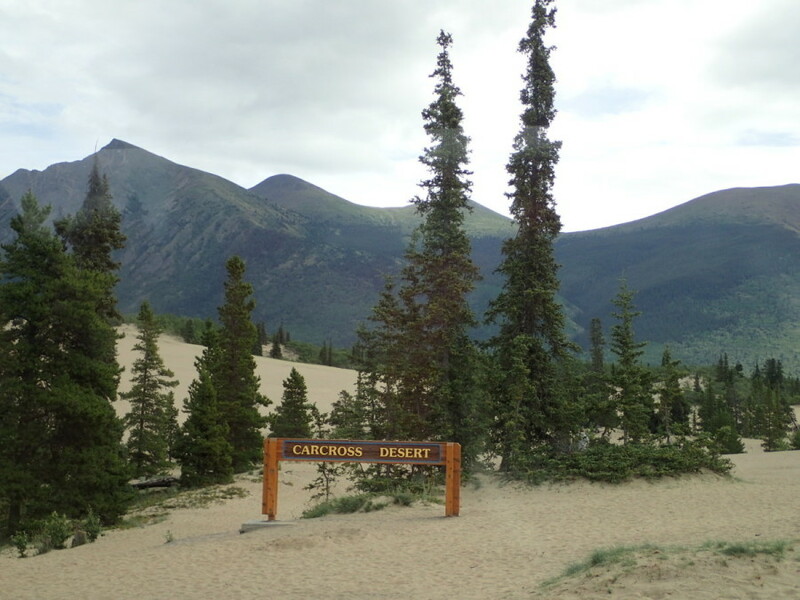 An unexpected find – deserts in the Yukon! 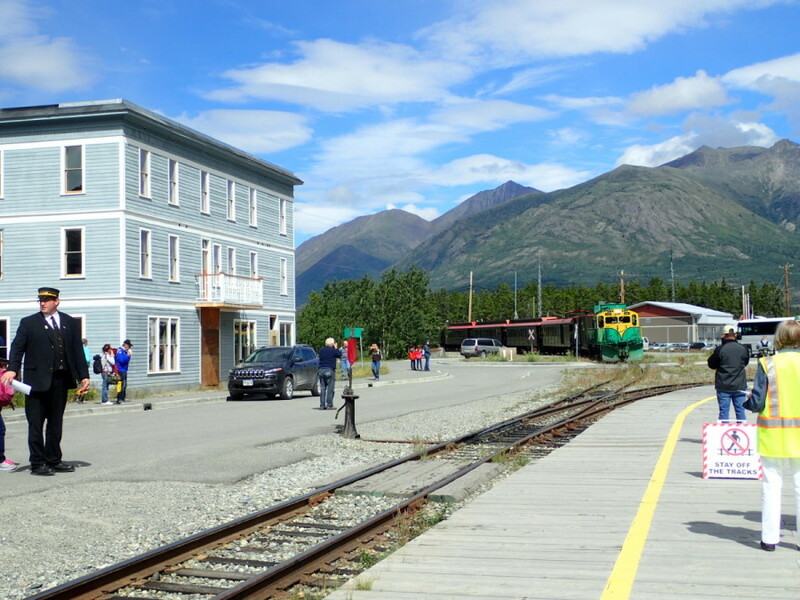 Waiting for the train in Carcross, Yukon (originally known as Caribou Crossing). 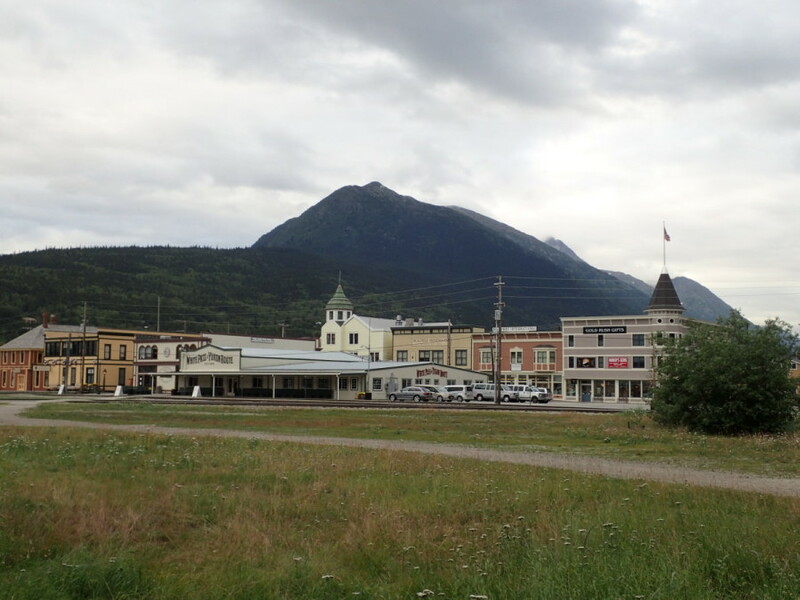 Heading south to Skagway along the shores of Lake Bennett in northern B.C. We were fortunate to get a spot in the final car of the train, which allowed for excellent views of the receding scenery. 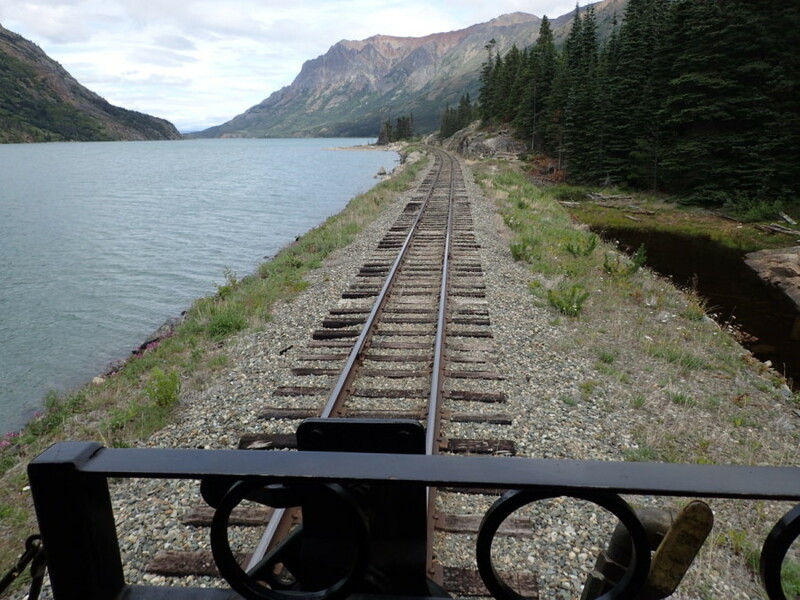 During our short stop in the ghost town of Bennett we climbed to the western terminus of the 33 mile long Chilkoot Trail, providing us with a great view of the lake towards Carcross, 27 miles away; over the winter of 1898-1899, 30,000 stampeders built makeshift rafts and boats to take them across Lake Bennett and down the Yukon River to the goldfields. 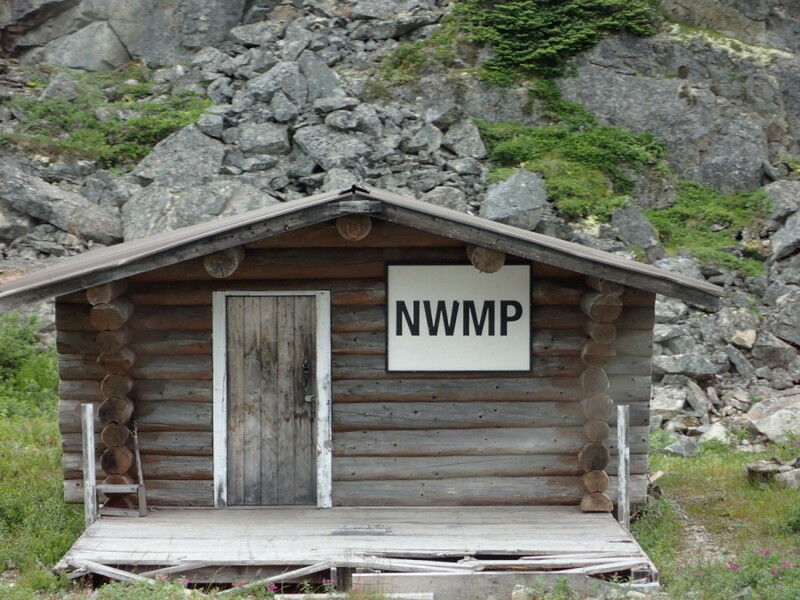 During the Klondike gold rush Canada’s trusty North West Mounted Police were standing on guard for thee at the White Pass summit (873 metres); prospectors arriving from Skagway were not permitted to cross the border unless they brought with them 1000 kg of supplies, supposedly enough to last them one year. Beginning our descent from the summit, this is a shot of the original steel bridge over ‘the gulch’; constucted in 1901 it lasted almost 70 years until replaced by a tunnel and shorter bridge (seen in the background). A look over the edge into Dead Horse Gulch, where 3000 pack animals perished due to overloading and neglect during the stampede of ’98, a sad chapter in goldrush history. 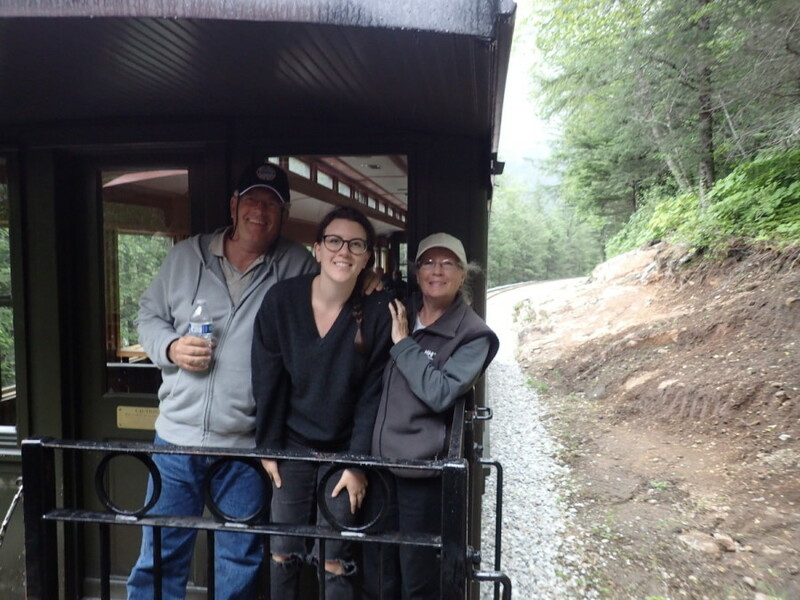 Down, down, down towards Skagway…..
Coming to the end of the line – what a great excursion! 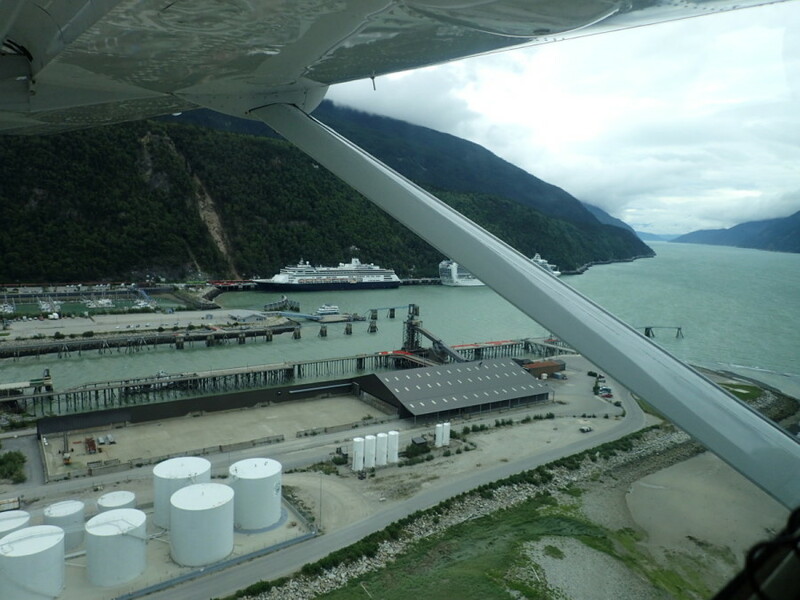 Boats, trains and planes – Skagway harbour below as we depart for Juneau. The weather delay was worth it – we flew with enough visibility to get some excellent shots of the mountains and glaciers that line Lynn Canal to both east and west…..
On the journey home from Juneau to Petersburg we came across a large group of Humpback whales, perhaps a dozen or more; we observed behaviour we had not yet seen, in which it appears the whales gather together with their mouths in the air – perhaps for feeding? 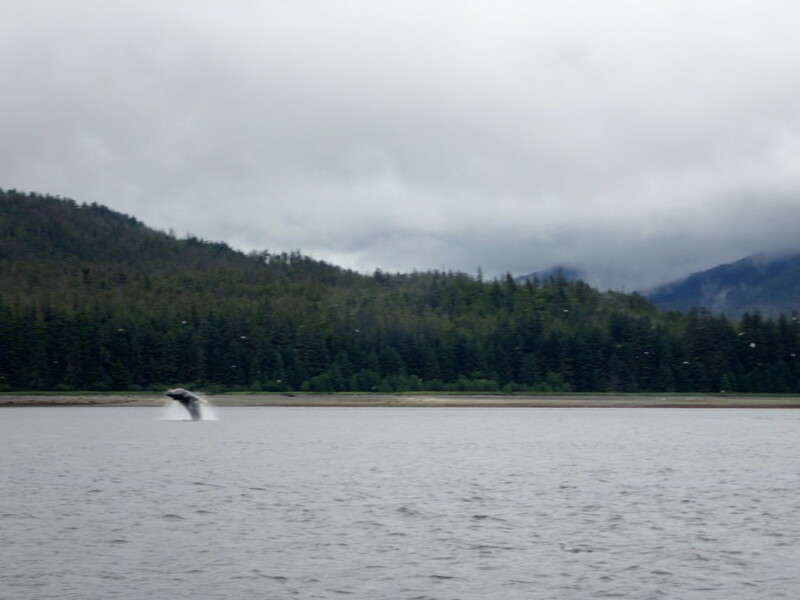 Ria finally managed to capture that elusive shot of a substantial breach, of which we saw several. After holing up in Meyers Chuck – about 40 miles north of Ketchikan – for an extra day due to very stormy seas in Clarence Straight, we scored beautiful weather for our crossing of Dixon Entrance; the weather window was so good we decided to make the run all the way to Prince Rupert, cruising a total distance of 135 miles. 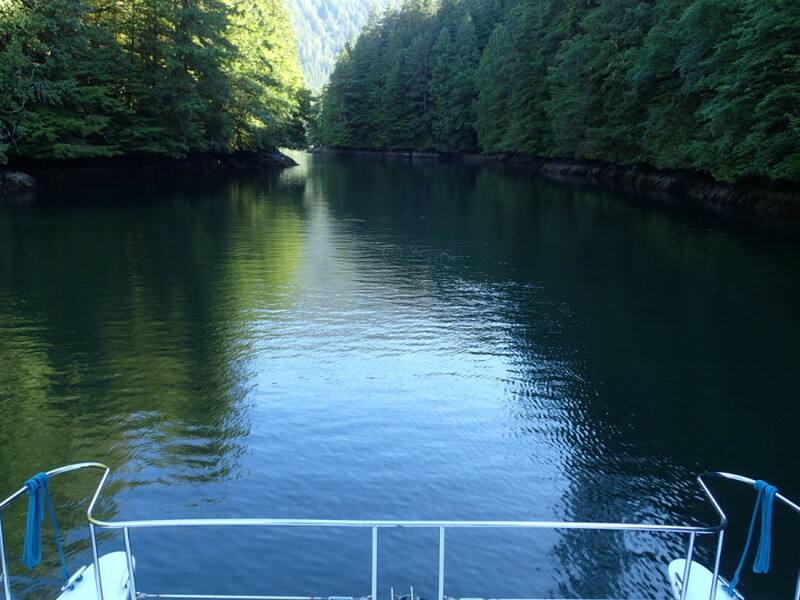 The narrow entrance to Baker Inlet, another excellent and beautiful anchorage off Grenville Channel, south of Prince Rupert. 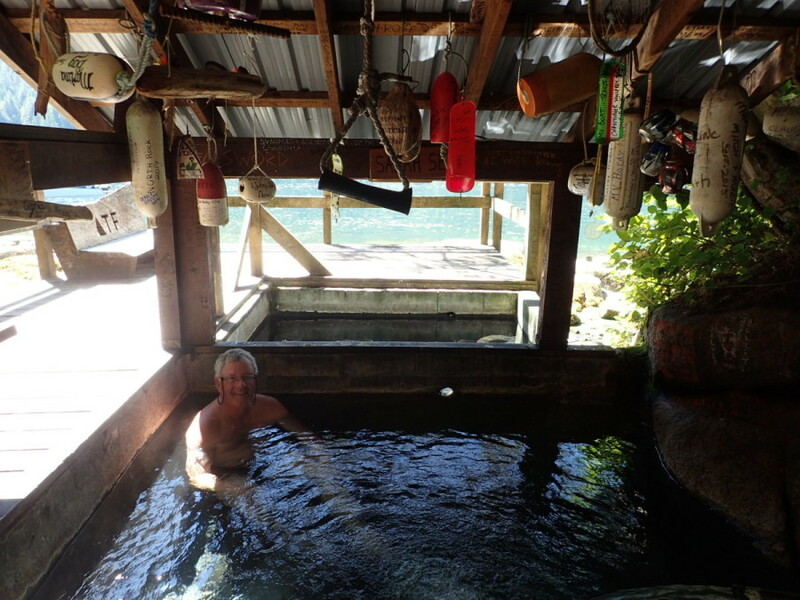 The captain taking a soak in the waterfront pools of Bishop Bay Hot Springs, about 40 miles south of Kitimat, as the crow flies. 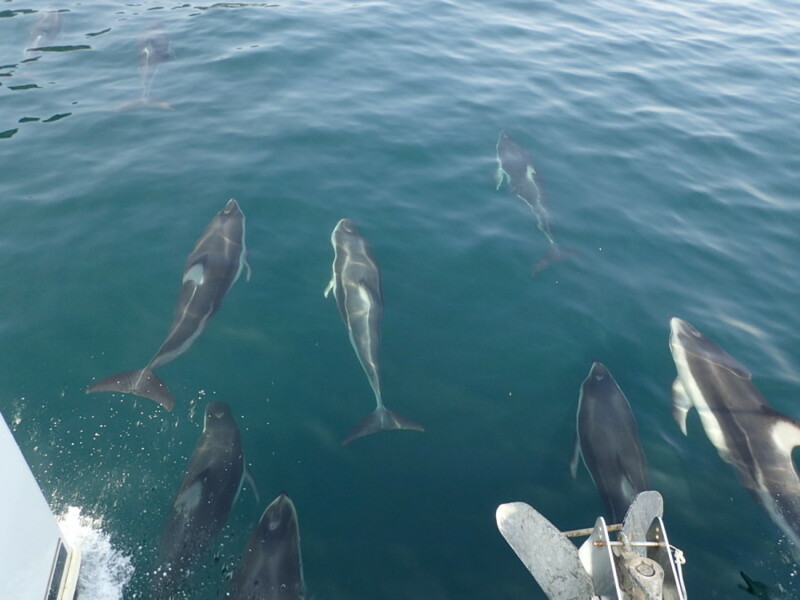 On a beautiful day in Johnstone Strait, after the fog and mist had disipated, we encountered a pod of many, many Pacific White Sided Dolphins, who love to frolic near moving boats; this group put on a fantastic show, with as many as 10 to 12 riding all around us. A few of them went so far as to jump just in front of us to slap their tail, splashing Ria as she took pictures from the front deck; what a blast! 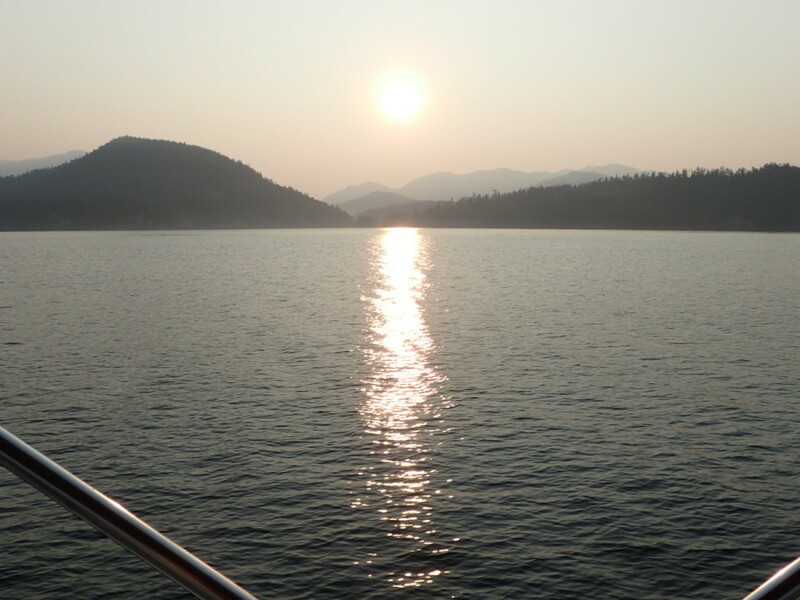 On our final day, early morning tranquility on the peaceful waters of Georgia Sraight – a fitting end to an excellent cruise. I finally had a chance to check out your blog… and you’re probably home. How time flies! Anyhow what awesome photos – you look like you had an awesome time! A wee bit cold at times??? One day I’ll take a cruise up that way… but on the big ship. You are brave to take your boat up that far.